In a spirit of the ingenious gentleman Don Quixote of La Mancha & Sancho Panza & Dulcinea of Toboso, we recount as The Man Who Was Recklessly Curious a little of our quest, as four Winemakers-errant. A refreshingly lucid definition of Quixotic; caught up in the romance of noble deeds & the pursuit of unreachable goals; idealistic without regard to practicality. 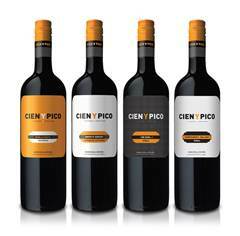 As it applies to Cien y Pico [Hundred & Something] embodies our singular, incomparable adventure & tilt. Saludos, Elena Golakova y Luis Garcia y Nicola Tucci y Zar Brooks.